Forged vs. Cast Irons: Which are better for you? There has always been a heated debate when it comes to forged irons vs. cast irons. Which of the two are more playable? Which offers the best feel? Is one better than the other for high handicappers? Low handicappers? The most comprehensive answer is that it varies from player to player. 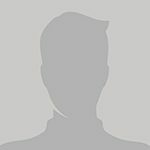 But, let’s explore in detail by first understanding differences between forged and cast irons, some of the common myths associated with each, and then figure out how you can know which type of iron is better for your game. Simply stated, forged irons are created from start to finish out of a solid piece of metal, and stamped into the appropriate shape and loft. Mizuno, for example, uses a process called “Grain Flow” forging to ensure the grains of the metal flow continuously from heel to toe of the club. As Mizuno’s Chris Voshall explains in the video below illustrating their process for forging clubs, some of the benefits of forged irons included enhanced consistency from club to club, and a truer vibrational feeling when hit – or in other words, better “feel” in the clubhead. As opposed to the solid piece of metal forged irons are created from, cast irons are created from molten metal that is poured into a premade mold. Some of the benefits of cast irons include the ability to add extra components of technology like perimeter weighting, channels and cavities, because of the pliable molten metal that can be more easily poured into a wide variety of premolded designs compared to the forged iron. Ping Golf is famous for the “Investment Casting” process that has long been used to make the majority of their irons, which the image below illustrates with molten metal being poured into each of the iron molds. 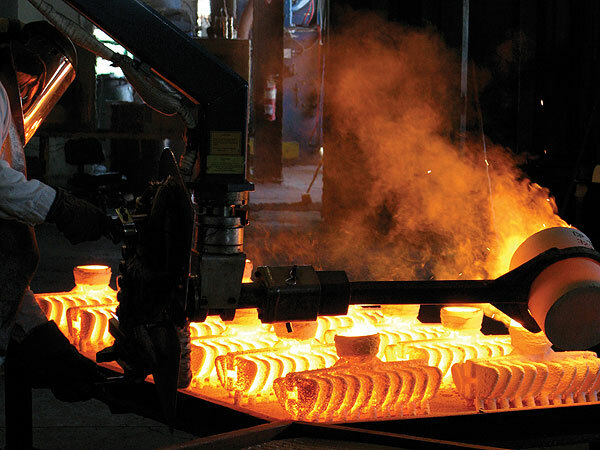 Ping’s investment casting process shows molten metal being poured into the iron molds. The typical look of a forged iron. The general perception is that forged clubs are for better players, and cast clubs are for higher handicappers. While this is generally true, it’s not in all cases, and is even less the case with continued technology advancements that merge positive performance benefits on both sides of the spectrum. This common golf myth was born from the fact that forged irons generally don’t have the same flexibility in shaping and weight distribution as cast irons, and therefore don’t reap the same performance-enhancing benefits available in many cast iron designs. What this means is the weight in forged irons is often closer to the area where the ball is hit on a solid shot, which makes it stay more true and conversely makes mishits feel and perform worse. This is compared to the cast club, which often has its weighting spread more throughout the club to improve the result on mishits, while limiting some of the trueness on a solid shot. The takeaway: Unless you’re truly more of the beginner golfer type, try not to not get too caught up in whether the club is forged or cast. Instead focus on what kind of weighting characteristics best suit the forgiveness vs. workability needs your game needs most. This cast iron design embodies technology not possible in a forged club. It’s very difficult to quantify feel, and thus very hard to dispute that statement. However, it has been proven, time and again, that feel comes almost exclusively from the geometry of the club and not the material. So the perception that a forged club feels softer is often primarily a function of club’s shape. Again, forgings typically offer a compact, “muscle back” or small cavity design, which places the majority of material and weight more behind the golf ball. Castings typically have a game improvement design, which places more weight on the perimeters, away from the center of the face. And it’s this geometric difference which is responsible for differing feels. 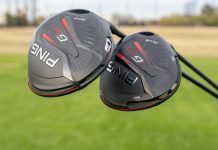 Several manufacturers have even done testing with similarly shaped and designed clubs in forged and cast models with some of the best players in the world, and they often couldn’t tell the difference in a blind test. The takeaway: Just because a club is forged doesn’t mean it will “feel” better – it’s often because the shaping of the forged club automatically lends itself to feel that way. 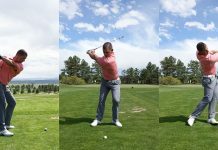 It’s often said a golfer can feel the ball “stay on the face longer” with forged irons, and that this “sticking” to the face provides more shot control and workability (the ability to curve the ball and adjust trajectory). While this is generally the case, the reason the ball stays on the face longer is a misconception. 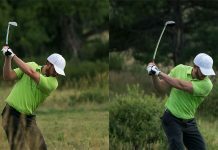 Typically, a forged golf club, as aforementioned with its head shape and weighting characteristics, has a center of gravity closer to the face. This is an attribute geared toward the better player that benefits solid shots and hurts on mishits. The cast club conversely tends to have more of a game improvement design with a lower, deeper center of gravity, which helps get the ball up in the air and aids mishits. If we look at this from a (slightly) technical standpoint, the closer the center of gravity (CG) gets to the face (and/or higher), the greater the vertical gear effect at impact. Vertical gear effect in an iron creates a de-lofting, or “covering,” effect at impact. This is where the sensation of the ball “sticking” to the face originates from. The takeaway: As mentioned in No. 2, this feeling comes from the geometry of the clubhead and NOT the method in which the club was constructed. 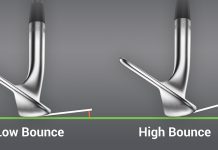 If a cast blade club were designed with a CG closer to the face and the majority of its mass directly behind the impact area, the same general “feel” would result. Forged vs. Cast Irons: Which are best for you? The moral of the story is that everyone plays the game differently and has different needs for their golf equipment. 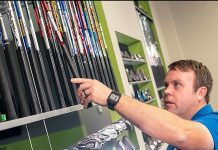 So, don’t get too caught up in whether a club is forged or cast, and instead focus on getting properly fit for a head and weighting design that best suits your game. 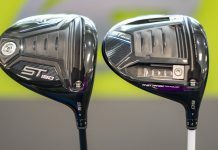 Because once you find the proper design offering the appropriate combination of feel, forgiveness, and workability that’s maximized for you, you won’t care how the clubs were made and instead just be thankful you’ve got ’em in your bag. Editor’s Note: This article is an updated version of the original post from Oct. 10, 2015. 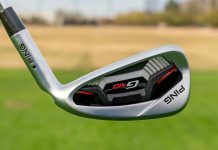 Interested to find the right irons for your game? Schedule a TECfit at GolfTEC today! 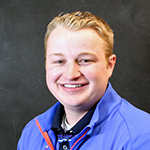 Nick Miller is the Director of Digital Media at GolfTEC. He's played golf all his life, holds a USGA Handicap Index of +1.4, and is the 2015 & 2016 GolfTEC HQ individual match-play champion. i am a cavity back player originally however i have heard the saying that forged are better for better players. I believe i fit this description as i have a nice fast swing and hit my 7 iron around 190-200 yards with a slight cut. That being said is there anything that blades can offer me? Regardless of forged or cast as you said would I benefit from flatback clubs that put more weight behind the ball? What are the benefits of blades for someone like me? You will hit your typical 190 club 170 with blades…. You slight cut will turn into a boomerang cut. Hel0? That is the truth. My 7 iron carry was 175. Down to 155. But what I was after was feedback and boy did I ever get it. But I also feel it has made me a better ball striker and that was what I was after. I was a 19 handicap in march today I am a 13. My GIR is up which has now show what a bad putter I am. So now the goal is to be a better putter. Very detailed information which include all the fact terms related to both Forged irons & cast iron . cast irons can be bent more whereas cast irons only can be bent around 1 degree. I have been a 9-15 index for the past two decades. As with most golfers, my garage is a cemetery for irons of all shapes and sizes. 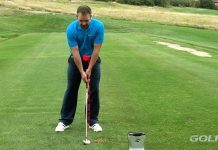 Beyond an inconsistent driver, inconsistent chipping game and an inconsistent putter – my iron striking has been a source of great frustration as a golfer. I have had poor fittings for my irons in the past which probably contributed to a sweepy swing with my irons where I pick the ball off the ground – small divots if any and not great carry (145-150yds 7-iron). Thus, my iron game is completely a feel game. 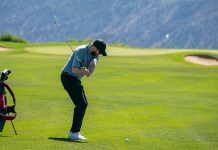 On days when the body and mind are right, I hit a lot of those effortless slight cuts with my irons that look and feel pretty – on bad days, a lot of fat chunks and toe toppers that makes others wonder why I play the game at all. As inconsistent and frustrating my iron game is, however, I can only used forged irons because I literally have no feel and feedback at all from cavity backs. Good swings, bad swings, good shots, bad shots…they all are completely unpredictable with cavities for me. I have no idea at the moment of contact what and where the ball is going. The one truism for forged irons is: If you put a bad swing on the ball, the ball and club will let you know immediately.